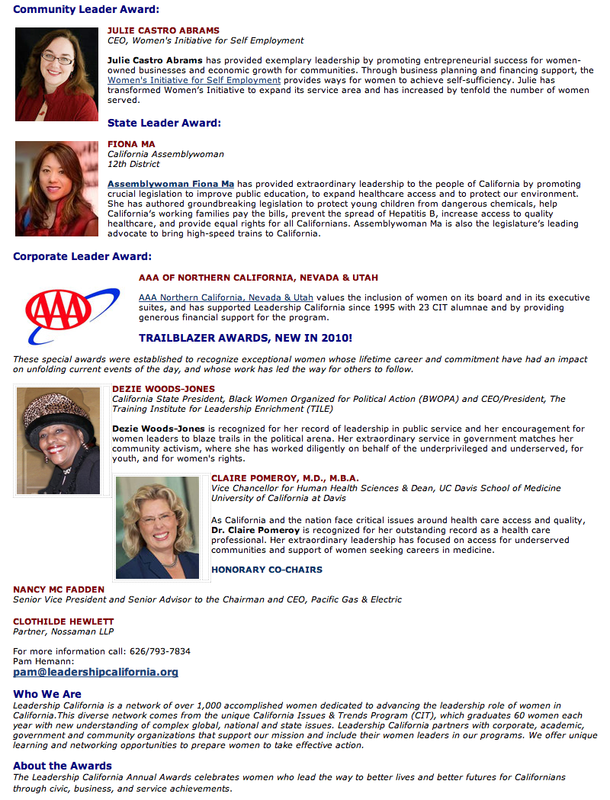 As an executive board member of Leadership California, I cordially invite you to join the FWN / Friends of the SF Commission on the Status of Women table to celebrate California's Women Leaders. This is an opportune time to network with over 400 women executives and leaders from the corporate, government, nonprofit and public service sectors. A veritable "Who's Who" in California's organizations will be attending and hope you join me to represent FWN and the Filipina community.